Feng Xiaogang has been deemed as China’s box office king, with films like “Personal Tailor”, “Aftershock”,” Assembly” and many others that had huge success in mainland China. “Youth” follows in the same, blockbuster tactics and aesthetics, in a truly impressive production, based on a script by Geng Liu, one of the country’s most competent scriptwriters and authors. 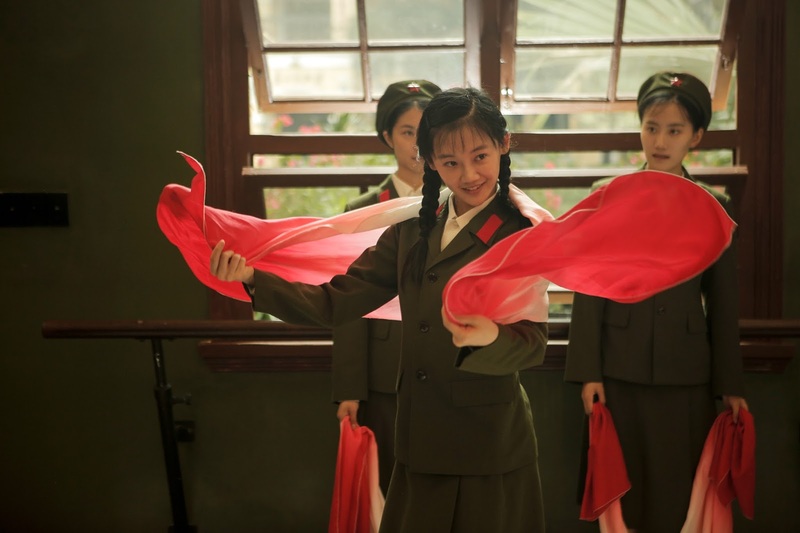 Xiaoping is a talented dancer whose father has been branded a rightist and has been sent for re-education. The girl however, becomes a part of the PLA’s dance troupe, brought in by the lead dancer Liu Feng. During her stay there, she meets Suizi, the lead female dancer who also functions as the narrator of the film, Shuwen, a daughter of the elite who functions as the leader of a “gang” also including Dingding, the belle of the troupe, and Drolma. Xiaoping hopes to become a famous dancer and to help her father avoid his fate, but instead finds herself ridiculed for her small town ways and bullied by the aforementioned girls, in a tendency that begins when she uses Shuwen’s army uniform for a photo, and never actually ceases. As the story of the troupe extends from the Cultural Revolution until the 90’s, the protagonists eventually find themselves in the midst of the Sino-Vietnamese war and the new era that came after the death of Mao and the fall of the Gang of Four. 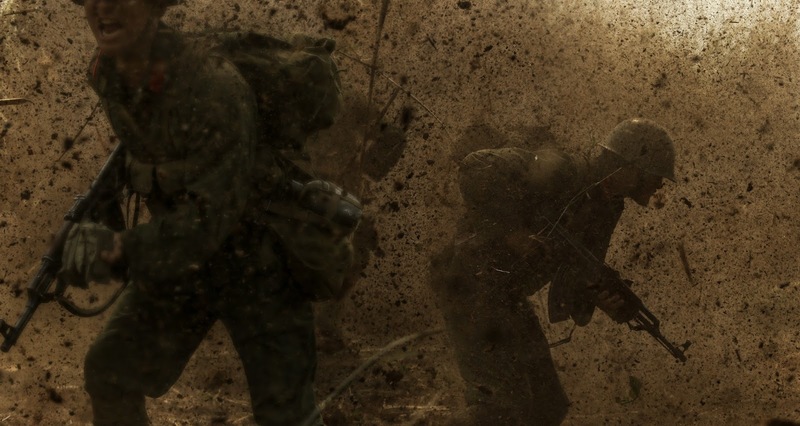 Feng Xiaogang directs a drama that is actually split in two parts, with the war providing the dichotomy. The first part belongs to the coming-of-age category, as we watch the various characters grow up inside the troupe, through the strict rules of the Maoist regime, which however, does not prevent the romances, the antagonism, and the treacheries of the youths of the troupe. This part features a more relaxed and a kind of a happy-go-lucky atmosphere, although the drama is not missing, particularly revolving around Xiaoping and Liu Feng. The second part however, is of a more dramatic nature that occasionally borders on the melodrama, with the blights of the war and the tremendous changes that took place after the fall of the gang having a great toll on the protagonists, who found their lives and their efforts up to that point becoming almost insignificant. The aesthetics of the film follow the guidelines of the Hollywood mainstream cinema, with the relatively fast pace, the almost constant music, which aims at heightening the sense each sequence wanted to give, and the impressive cinematography by Pan Luo, who manages to induce each scene with a distinct artistry, filled with colors and attention to detail. Xiaoli Liu has done a great job in the costumes and Haiying Shi on the production design, with the result of all the aforementioned being a truly impressive visual aspect. However, I felt that the true value of the film and particularly of Feng’s direction lies not directly on the image, but more in what lies underneath. In that fashion, the movie may seem that exemplifies the Mao era, but a number of episodes undermine this sense, like the one with Liu Feng for example, which also serves as a dark twist in the whole concept of the romance between youths. Likewise, although the production seems to abide with the Chinese guidelines about movies, Feng has managed to include an underlying sense of sensualism that presents itself briefly but rather frequently, in locker rooms and dark alleys. The acting on the film, particularly of the female protagonists, is impressive and one of its most significant assets. Miao Miao as Xiaoping in her debut gives a great performance, highlighting the crashed hopes of a country bumpkin that finds herself facing the harsh reality of Beijing. Zhong Chuxi is also great as Suizi, a character who finds herself split between her kindness and her will to help Xiaoping and her effort to remain in the gang. Furthermore, her dance in the beginning of the movie is one of the film’s highlights. Huang Xuan as Liu Feng has a secondary but rather significant role, as his characters is the main source of the underlying elements we mentioned before (not the sensualism though). Feng Xiaogang’s work is not without faults, and at times, it seems that his effort to induce the movie with nostalgia is a bit hyperbolic, while he does not avoid the reef of the melodrama in a number of occasions which appear rather excessive. However, the general sense the movie emits is great, and even these faults seem to fit in, in a rather entertaining spectacle that is very enjoyable through its 134 minutes.